In the world of breast feeding Elisabeth Anderson Sierra is a superhero. 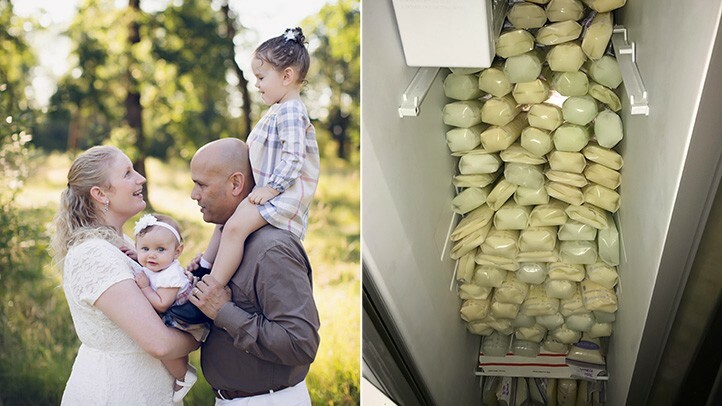 She has a weird medical condition known as Hyperlactation Syndrome which means her body manages to produce over 200 ounces (5.6 litres) of breast milk every day. In comparison an average mother produces around 10-20 ounces. So that’s a lot of extra milk that Elisabeth produces, but she doesn’t let the milk go to waste, she pumps it, stores it and donates it to babies that need it. 29 year old Elisabeth Anderson-Sierra, is a disabled veteran and stay-at-home mom from Beaverton, Oregon, United States and she was diagnosed with the condition after the birth of her second child. Elisabeth decided that she would treat her strange condition as a gift that she would use to help others. 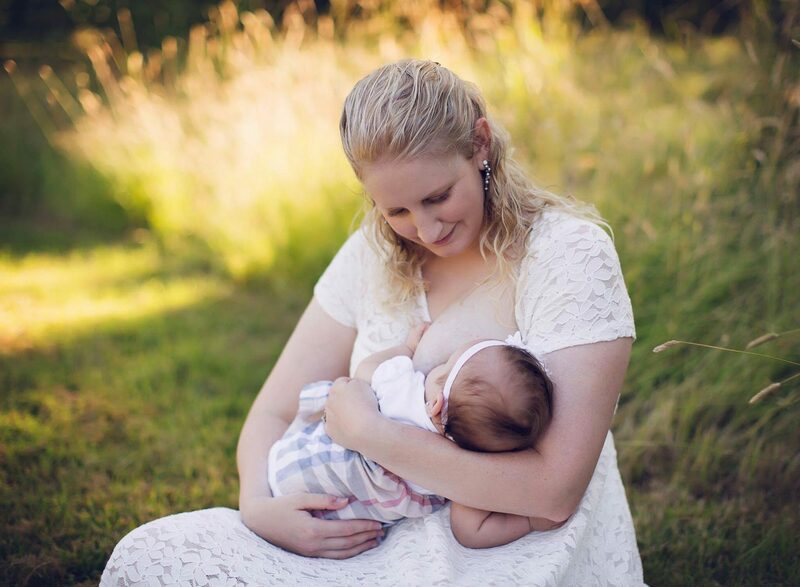 She says: When I was pregnant with Isabella, I started researching milk donation and pumping. I had zero experience with it. I just knew milk donation was something I wanted to do. I’ve donated blood for years because my blood type is rare, so I wanted to continue donating something while breastfeeding. I started pumping a week after giving birth and connected with other donor mamas to get tips and information on pumping and donating. I’ve been donating for more than two years now. I’m now 6 months postpartum with Sophia, my second daughter, and I’m pumping an average of 225 ounces — about 1.75 gallons — per day on top of breastfeeding my baby. To date, I’ve donated over 78,000 ounces — that’s more than 600 gallons of milk. I send half to the milk bank and I donate the other half to local families I find via Facebook, mom groups, support groups and friends. I signed up with Tiny Treasures Milk Bank. I love their mission. They use donor breast milk to produce fortifiers that they sell to hospitals nationwide. The hospitals then give it to micropreemies, or babies who are born weighing less than 1 pound, 12 ounces, or who are born before 26 weeks. Because the milk fortifier is deemed a medical necessity, the hospitals don’t charge the families; instead they charge the patient’s insurance company. No patient’s insurance is rejected. Tiny Treasures provides bags for the donations and pays me $1 per ounce of milk. Any milk bank tests both the donor and all the milk that comes in. My blood is drawn every 123 days, and it is sent to Tiny Treasure’s labs for testing. This ensures [that there’s] no outside tampering. They test my blood for all communicable diseases as well as drugs. Milk is also DNA-matched to me, so I could never send in another mom’s milk with mine and have it pass. If I were to be found in violation of any of the rules – if there were drugs in my system, some kind of infection or if I were to have tampered with the milk, for example — I’d be dropped as a donor. I lose about 50 percent of the money I make to taxes. Donating to a milk bank has helped offset costs of donating locally. When you produce as much as I do, the costs are definitely a roadblock. But I’m not really making any money off this — the money I get from donating to the milk bank just goes back into donating locally.